This is a blatant slap in the face to all police officers out there. Valerie Jarrett met with three organizers for Campaign Zero: DeRay Mckesson, Brittany Packnett, and Johnetta Elzie as well as Phil Agnew of the Dream Defenders and Jamye Wooten, an organizer for Baltimore United for Change. This is organized racism and cop hatred on an epic scale. It looks to me like Valerie Jarrett sought these groups out to confab with them in the White House. It’s outrageous and disgusting, even for Jarrett. In fact, Jarrett and Obama have been meeting with these thugs for a long time. There are six visits before the Ferguson riots. They also met with Obama in December of last year. No doubt planning mayhem and chaos for this year. 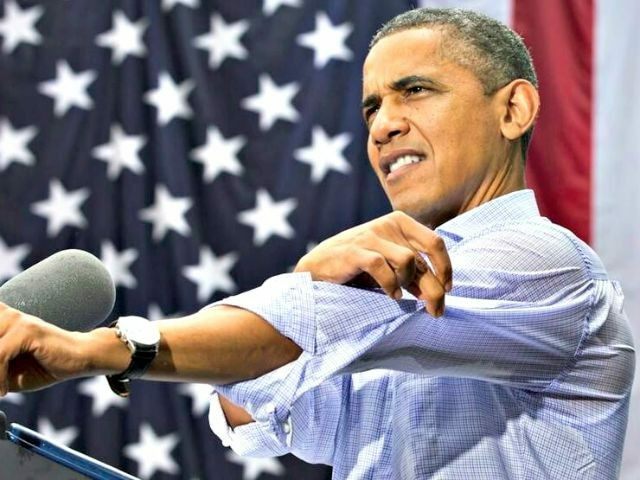 Obama wanted clear, thoughtful action and I guess he got it in the form of dead police officers. You are known by your associates. 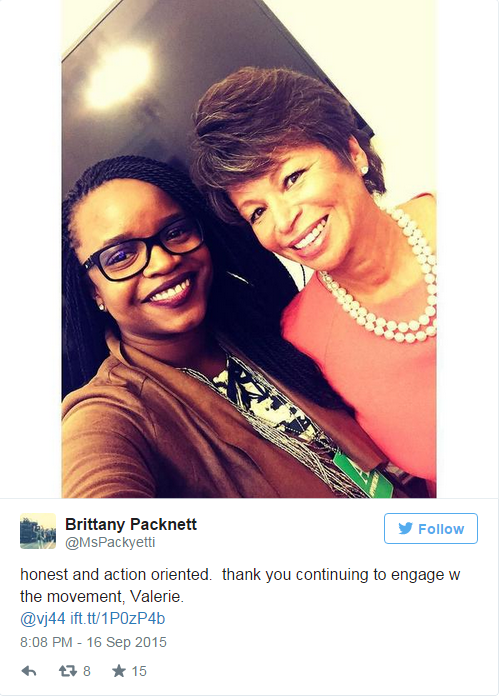 President Obama’s senior adviser Valerie Jarrett met with Black Lives Matter activists yesterday at the White House, the latest sign that the Obama administration is involved with the controversial protest group. Jarrett met with three organizers for Campaign Zero. DeRay Mckesson, Brittany Packnett, and Johnetta Elzie as well as Phil Agnew of the Dream Defenders and Jamye Wooten, an organizer for Baltimore United for Change were there, according to a senior White House official who confirmed the visit to Buzzfeed. 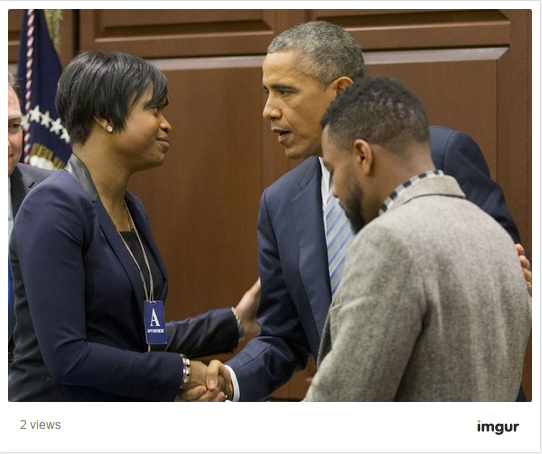 In past interviews, she described herself as the “bridge” between Ferguson protestors and Washington D.C.
She also help turn the Ferguson protests into a nationwide movement, after launching a newsletter of information relevant to the protests, spreading the #blacklivesmatter hashtag and helping the movement draft op-eds and documents. The group of activists also met with Roy Austin, the director of the White House Office of Urban Affairs. Obama and Jarrett have been offering tons of support and advice to these terrorists. Packnett was also selected as a member of Obama’s presidential task force on 21st century policing – ratting on the cops, nice job you’ve got there. More likely, making things up and blaming officers for it and then reporting on them. Very Stasi. She’s the go-between liaison for the rampaging racist thugs and the Marxists in the White House. Packnett was also one of the radical leaders who turned #BlackLivesMatter into a movement – she came up with the hashtag. They also met with the head of Urban Affairs. Probably on how to riot more efficiently. Jarrett and the White House are actively trying to stir a race war and more violence. They aren’t shy about it either. It’s black supremacy on display and it is evil.